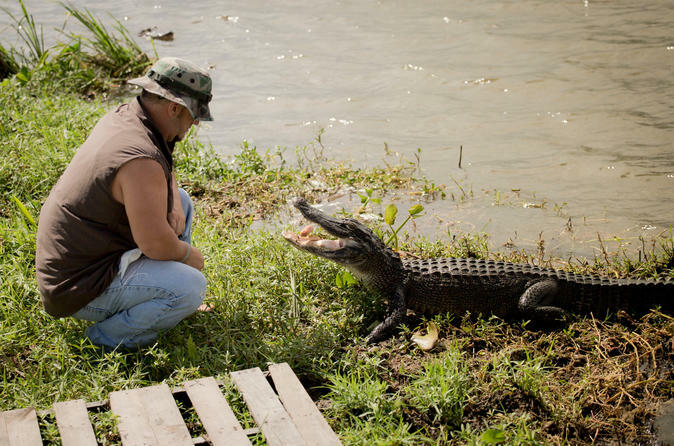 The Ultimate Swamp Tour Experience is just that – we have the best swamp tour in New Orleans! Join the city’s oldest tour company and catch a ride out of the concrete jungle and venture into the swamps and bayous once inhabited by legendary pirate and War of 1812 hero Jean Lafitte. Look no further and book now for the highlight of your trip to the Big Easy! Experience Cajun culture first hand from the comfort of our brand new, state of the art, custom built swamp boat. Cruise through gorgeous narrow bayous, observing wildlife in their natural habitat, while enjoying epic first hand stories from your local swamp boat captain. Discover a community that lives off the land, working to provide seafood for the surrounding area and are devoted to their Cajun values and lifestyle. Your local captain will bring you closer to the people to give you a better understanding of life on the bayou. Be sure to bring your camera to capture the scenic views and wildlife including alligators, egrets, nutria and many species of snakes. Some wildlife are more numerous during the warmer months of the year. Or catch a shot of the tree depicted in Disney’s The Princess and the Frog.